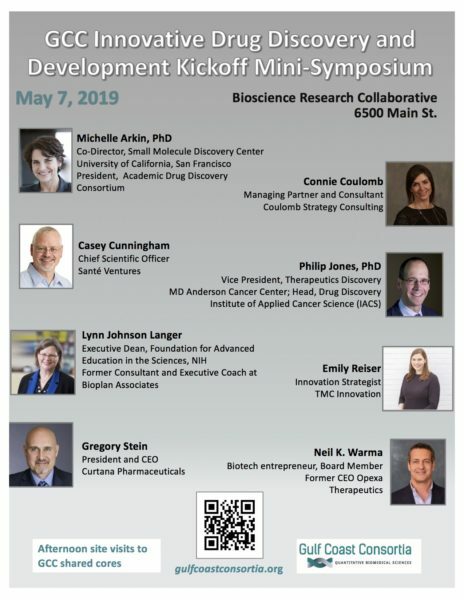 The newly reorganized Innovative Drug Discovery and Development (IDDD) Consortium (formerly Chemical Genomics) invites you to join us for the kick-off of our new program and focus on supporting therapeutics advancement from discovery, through development, and to the clinic. 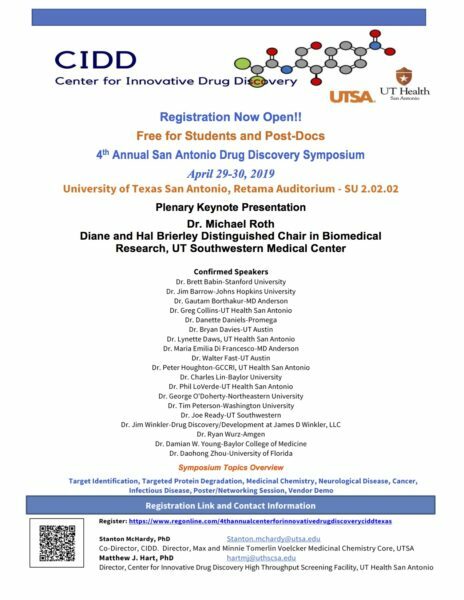 The mini-symposium will host national and local entrepreneurs who have started companies, advanced their academic discoveries into the clinic, developed business strategies and/or invested in pharma. The event will begin at 8:45 am (breakfast at 8:15), and topics that will be discussed in the morning sessions include 1) What are investors and/or pharma looking for in therapeutics? 2) How do they identify a good drug candidate? 3) What does it take to develop a successful therapeutic? 4) What can go wrong (challenges)? and 5) thoughts on and advice for moving academic discoveries into the clinic. The lunch session will feature short introductions to the shared cores within the GCC IDDD network, and will be followed by onsite visits to several of the cores (transportation provided for those who sign up). You will also hear more about the future of IDDD including a workshop/seminar series that will begin in June.